It's Time to Book Spring Break 2019! 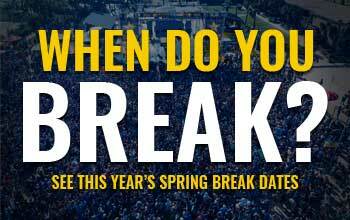 Spring Break 2019 Concert Announcements Next Week! 2019 Concert Announcements Coming Soon! Summer Sale: Panamaniac VIP Cards Now Half Off! MTV's "Floribama Shore" is Back for Season 2!